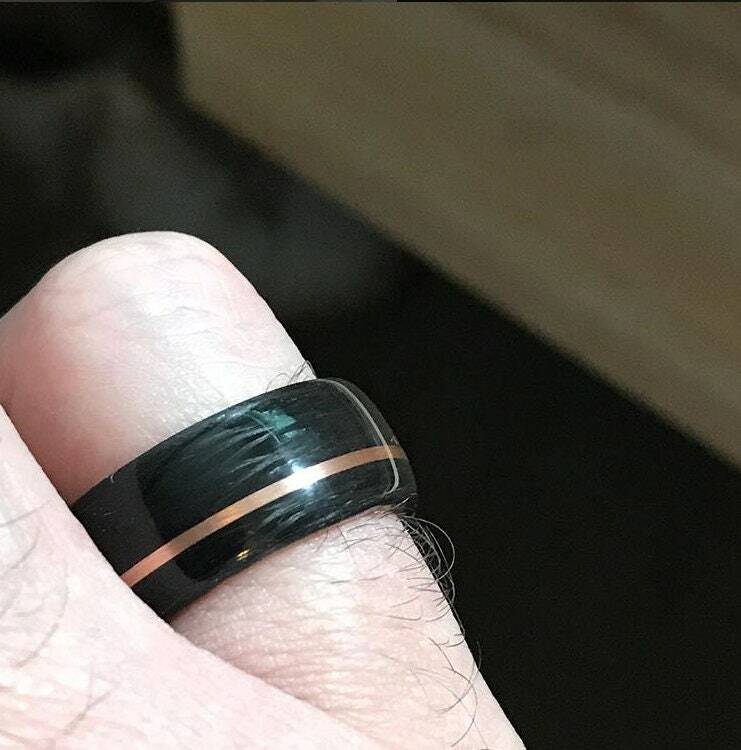 This ring is milled from a solid piece of Carbon Fiber and a solid copper core and finished with an offset copper inlay. 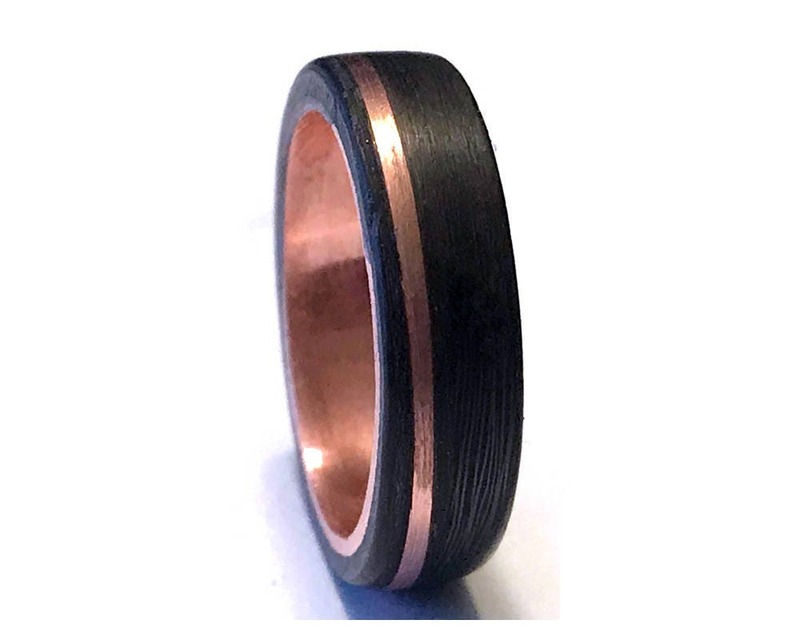 Each ring is custom milled from a solid piece of Carbon Fiber to your ring size using a jeweler's mandrill. 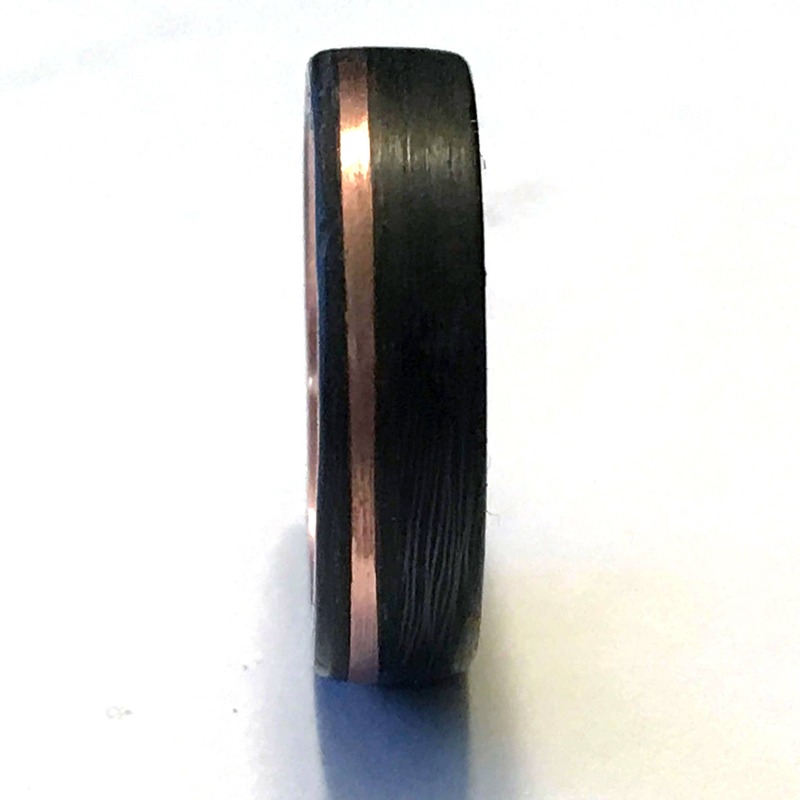 The CF is then shaped and polished. The CF is then encased in a strong acrylate, making a waterproof and scratch resistant and ready for daily wear!